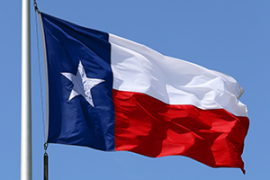 Texas-based community bank TransPecos Bank is implementing a new core banking system, i2Core, supplied by local vendor IBT. “Following a months-long hunt and seemingly endless research into a new core provider, TransPecos’ seminal moment was at IBT’s annual user conference,” says the vendor. The bank saw that IBT was “significantly different than big box providers”, the vendor explains, and that there was a great match in both organisations’ core values. The new solution is hoped to improve automation, mitigate risk and reduce costs at TransPecos. There are also other perks. “Easy-to-use, standard reports that are incorporated into the system will be a huge plus for us, and will make it much faster and simpler to gather data,” says Jeff Weaver, president and CEO of TransPecos. “Call report preparations, for example, used to take multiple manual downloads and formatting, but now we will be able to produce timelier and more accurate reporting,” he adds. IBT is a Texas-based provider of banking software to small and medium-sized banks and credit unions. Its customers include Citizens State Bank of Lankin, a small family-owned entity in North Dakota, First Bank and Peoples Independent Bank in Alabama, Merchant and Farmers Bank in Louisiana, Peoples National Bank in Ohio, Dillon Credit Union in Kansas and the First National Bank of Eagle Lake in Texas. Another Texan bank, Stockmens National Bank of Cotulla, signed for IBT’s i2Core in late 2015. Meanwhile Capitol Credit Union (CCU), a small Texas-based credit union, has recently opted for the vendor’s digital banking platform, i2OLB. According to IBT, monthly rate increases and service level concerns left CCU feeling taken advantage of. “In my experience, smaller credit unions have to fight twice as hard to be heard, especially when dealing with vendors who have national footprints and FI customers with billions in assets,” comments Pierre Cardenas, president and CEO of CCU. IBT offered a much better customer experience and suitable functionality, he adds.